Welcome to the large-scale geodynamics group at UIUC! We are interested in the dynamic evolution of the solid Earth, and the following word cloud provides a summary on our research. In practice, we attempt to understand Earth's physical processes using geodynamic modeling approaches that include both sequential (forward) and variational (inverse) data assimilation methods. More information about our work could be found in CV_Liu.pdf. Mar. 2019: Quan's work on quantifying the topographic evolution of the western U.S. since 20 Ma appears in EPSL. Feb. 2019: Dr. Liang Liu joins us as a postdoctoral scholar. Welcome Liang!!! Nov. 2018: The Liu lab welcomes a new visiting scholar Prof. Zhangang Wang from the Chinese Minding University. Aug. 2018: Quan's work on understanding western U.S. seismic anisotropy and mantle flow is published in EPSL. Aug. 2018: Jiashun starts his postdoc position at Caltech in Pasadena. Congratulations and best wishes to Jiashun!!! Jul. 2018: Lijun presented a CIDER lecture on the principles and applications of data-oriented geodynamic modeling. Jun. 2018: Quan starts his new job in Granular in Northern California. Congratulations and farewell to Quan!!! Jun. 2018: Quan presents his exciting Yellowstone research at the Blue Waters annual meeting in Oregon. Good job, Quan! May. 2018: Graduation ceremony!!! Congratulations to Dr. Quan Zhou and Dr. Jiashun Hu on successfully achieving their Ph.D degree!!! May. 2018: Our recent work on craton stability was chosen as a 2018 spring highlight by the EAR division at NSF. Apr. 2018: Lijun presented a public lecture at the Parkland Planetarium about the mantle forces behind the western U.S. tectonics. Mar. 2018: Lijun talk to Newsweek about possible interactions of a deep mantle plume with the Yellowstone supervolcano. Feb. 2018: Jiashun's work on craton delamination and thermal restoration caught media attention in Phys.org, UPI.com, EurekAlert!, Breitbart News Network, NSF, China.org. Feb. 2018: Our work on the origin of western U.S. volcanism got highlighted in Science Magazine! Jan. 2018: Our study on the structure and evolution of cratonic lithosphere is accepted in Nature Geoscience, a good start for 2018! Congrats to Jiashun, Quan, Steve, Craig and myself!!! Dec. 2017 - Jan. 2018: Long-lasting public interests about our Yellowstone study, with some well-written articles in Yahoo News, Science News, Billings Gazette, Newsweek, YellowstoneInsider, Science Daily, Daily Mail, UPI, Phys.org, etc. Nov. 2017: Our work on the origin of Yellowstone volcanism is accepted in Nature Geosciece! Great job, Quan & Jiashun!!! Sep. 2017: Quan's new inverse modeling paper accepted in G-cubed. Congrats Quan! Aug. 2017: Welcome our new group members Yaoyi, Diandian and Zebin! Jul. 2017: Our work on modeling Tibetan Plateau is published in Nature Communication! Check out some media reports here: Science Daily, PhysOrg, Daily Mail, CAS, etc. May 2017: Jiashun's work on modeling South American subduction, mantle flow and seismic anisotropy is covered by the media, with examples in ScienceDaily, PhysOrg, ScienceNewsline, Newslocker, etc. Apr. 2017: Our South American anisotropy modeling work is accepted by EPSL. Congrats Jiashun for publishing in EPSL three times in a row!!! 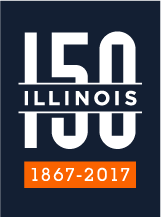 Nov. 2016: Lijun was awarded the LEAP Scholar (Lincoln Excellence for Assistant Professors) by the college of LAS at UIUC! Oct.-Nov. 2016: Our work on measuring lithosphere strength generates public attention in ScienceDaily, Physics Today, AAAS, NSF, PhysOrg, Cosmos, ScienceBull., MyScience, NCSA/UIUC, etc. Sep. 2016: Our paper on probing lithosphere viscosity variations using magnetottelluric tomography is published in the journal Science! Jul. 2016: Jiashun's paper suggesting torn flat slabs in South America published in Earth Planetary Science Letters. Good job, Jiashun!!! Mar. 2016: A new collaborative research proposal focusing on the Cenozoic tectonic evolution of the Andes lead by PI Liu gets funded by NSF's CSEDI program. Feb. 2016: Our work on addressing the Yellowstone debate reported in Science News , Science Daily, Science Node, Scientific American, NSF, UPI News, U. of I. news, Daily Illini ! A related earlier news piece on the Columbia River flood basalt formation. Jan. 2016: Tiffany's thesis work on modelling slab-plume interaction beneath the western U.S. accepted by Geophys. Res. Lett. Congratulations Tiffany!!! Jan. 2016: Lijun receives CAREER Award from the National Science Foundation. Jan. 2016: Paper on Late Cretaceous - early Tertiary vertical motion of the Laramide Province accepted by GSA Bulletin. Jan. 2016: Jiashun's paper (co-authored with Armando and Quan) on modelling South American flat-slab subduction accepted by Earth Planetary Science Letters. Congratulations Jiashun, Armando and Quan!!! Dec. 2015: Lijun talk to Science News about mantle viscosity structure. Dec. 2015: Jiashun, Quan, and Lijun are presenting at the upcoming AGU. Nov. 2015: Recent review paper on North American dynamic topography gets highlighted in EOS. Aug. 2015: A review on dynamic topography over North America since the Mesozoic is published online in Reviews of Geophysics. Jul. 2015: Lijun to receive the Jason Morgan Early Career Award in the upcoming 2015 AGU. Apr. 2015: Lijun and former Geology graduate Jin Zhang published a new mechanical model for deep earthquake generation in Earth Planetary Science Letters. Mar. 2015: Lijun talk to Science News about the Hawaiian-Emperor Bend. 605 E. Springfield Ave., Champaign, IL 61820 U.S.A.